dl1520 (Onyx-O15) was the first adenovirus described to mirror the gene deletion approach pioneered by Martuza with herpesvirus. McCormick et al. hypothesized that an adenovirus with deletion of a gene encoding a p53-binding protein, E1B 55-kDa, would be selective for tumors that already had inhibited or lost p53 function. p53 function is lost in the majority of human cancers through mechanisms including gene mutation, overexpression of p53-binding inhibitors (e.g., mdm2, human papillomavirus E6), and loss of the p53-inhibitory pathway modulated by pl4ARF [33-35]. However, the precise role of p53 in the inhibition of adenoviral replication has not been defined to date. 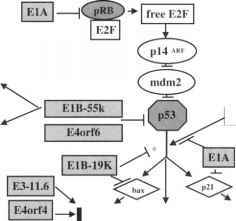 In addition, other adenoviral proteins also have direct or indirect effects on p53 function (e.g., E4orf6, E1B 19-kDa, E1A) . Finally, E1B 55-kDa itself has important viral functions that are unrelated to p53 inhibition (e.g., viral mRNA transport, host cell protein synthesis shut-off)  (Fig. 3). Figure 3 Diagram of both p53 pathway interactions with adenoviral gene products and functions of El B 55 kDa: complexity of cancer cell and adenoviral biology. (A) Note that adenoviral proteins (light gray) target multiple components of this pathway at sites upstream of p53, downstream of p53 and at the level of p53 itself. Examples of p53-regulated cell functions are shown (black boxes). 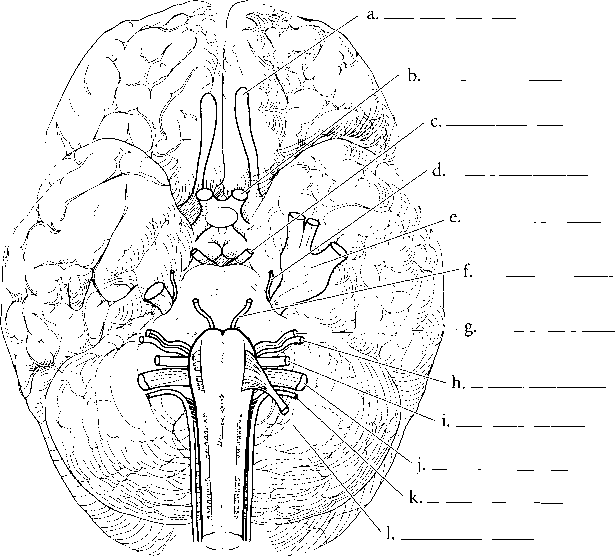 In addition, the known functions of El B 55 kDa are shown (dark gray). (B) Graphic representation of the consequences of E1B 55-kDa gene deletion. In addition to the loss of p53 binding when E1B 55 kDa was deleted in c//l 520 (Onyx-Ol 5), other important viral functions are also lost.